• By recruiting and training extra staff, we have reduced average caseloads to some of the lowest in the region. • We offer an excellent Assessed and Supported Year in Employment programme and have good links with universities. • Plenty of career opportunities including advanced practitioner, practice and team manager posts for the future. 60 seconds with Louise Storey, principal social worker for Lancashire County Council’s children’s services. 1. Why are you recruiting? Following our recent Ofsted inspection, we listened to the feedback and as a result, children’s services in Lancashire are changing. We are now looking to expand our team as part of a transformation of children’s services, supported by a multi-million pound investment. Over the last 18 months, we have put a lot of resource into creating more roles and capacity within the service and identified areas for improvement. The recruitment drive will enable caseloads to be reduced further and increase support for frontline staff. 2. What roles are you recruiting for? We have a number of full- and part-time jobs available at a variety of levels, including team and practice managers, independent reviewing officers, senior practitioners, social workers, residential workers and business support roles. As the fourth largest local authority in the country, and the largest in the North, we offer opportunities to learn and work across a variety of geographical areas and diverse communities. There is a wealth of opportunity, as well as some important challenges, waiting for those who join us. 3. What will I like most about working for Lancashire County Council? Join us in Lancashire and our friendly and welcoming staff will make you feel part of an organisation and team who care about the work they do. You will have access to a wide range of learning and training opportunities and we have managed to reduce average caseloads to some of the lowest in the region. You will also have the support of myself and advanced practitioners who listen to and highlight the issues social work staff face in their everyday working practices, right up to the chief executive. 4. What is the top challenge you face at Lancashire County Council? Children’s services in Lancashire has had a tough time over the last 18 months following our inadequate Ofsted rating. However, our efforts are focused on improving children’s services to ensure all vulnerable children, young people and families receive the high standard of care and support they deserve. We did receive positive feedback from Ofsted about a number of aspects of service delivery and practice including recognition that, at all levels, there is a commitment and will to succeed in delivering the best outcomes for children and young people. 5. How are you tackling that challenge? Lancashire is on a journey and we need to recruit more social workers who are happy and enthusiastic to join us on this journey. We have made good progress in implementing an improvement plan, however the pace of this progress needs to quicken so that we are able to see real and tangible benefits for children and young people in the near future. We are in the process of developing a couple of innovative programmes for the future. This includes a Social Work Awards event, planned for December 2017, where the excellent work of our social care staff will be recognised and rewarded. We are also planning the creation and development of a Social Work Academy to ensure a robust induction programme for frontline staff with added advanced practitioner support as they move into districts with a reduced caseload. Join our team and we’ll offer you excellent opportunities to progress and do new things, a commitment to support and supervision, and opportunities to influence and improve the way we work. In return for your passion and expertise we offer all of our staff a generous benefits package including flexible working to help you find work-life balance, payment of your Health and Care Professions Council fees every two years, an excellent Assessed and Supported Year in Employment programme, and plenty of career opportunities for the future. We are also the only authority in the region to offer a £10 per day honorarium for practice educators who look after a student. 8. What is it like to live in Lancashire? Lancashire is a big and diverse place. It’s ideally positioned for the Lake District, the coast, Manchester, Liverpool and Yorkshire. House prices are reasonable and you can choose leafy neighbourhoods within the Ribble Valley or Fylde coast, such as Lytham St Annes. There is the student city of Lancaster with its independent shops, cinema and art galleries. 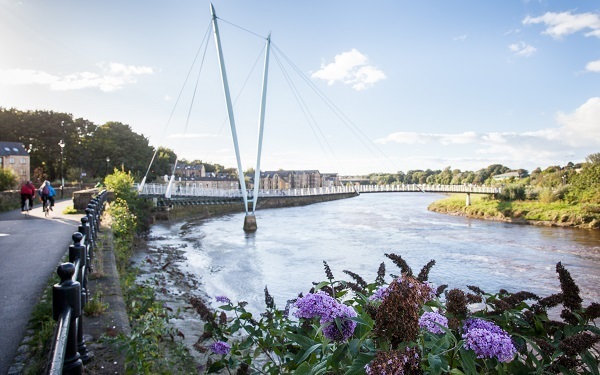 Around Preston is the South Ribble area, which was recently voted as the best place to live for young professionals. The county also has a range of outstanding schools and academies, and we are within range of many universities including UCLAN, Lancaster University, Liverpool, Edge Hill, Manchester and Cumbria. Find out more about the latest job opportunities in Lancashire.